When you have the idea to develop your business and bring it to the next level, it does not matter if you are starting out or looking at breaking into the million euro or billion euro ‘big leagues’ market the first thing I will say is “It’s possible”. Regardless of statistics. if you have courage. tenacity and stamina to make something happen there is a way of doing it. No question. “If someone offers you an amazing opportunity and you’re not sure that you can do it -say yes and learn to do it later.” That’s what Richard Branson says and I agree. Taking the chance on an opportunity to develop your business is always going to be your choice, so make it! Part of achieving success is to put together a growth plan which brings you the results that you want with the least amount of risk and effort. Key to developing your business and your strategy is it being built around your customer and what they need, want and demand. The approach to market entry with the most effort and least potential is to sell more of your offering by using multi purchasing, which is a technique of adding to the volume of your offering, for example 6 packs 12 packs etc. A more successful approach is added value purchasing were you add something to the product offering to create better perceived value for the customer. By extending a market a business creates an opportunity to develop, because it gives you a higher volume of potential customers. Market extensions give you the ability to create a way to sell more of your current offering to another market, for example, if you are a website company you could partner up with a marketing company specialising in digital marketing. Expanding your geographic market space can also work. This works well with less frictional offerings. Channel Developing helps develop your business by extending your connections to your potential customers using various locations or bricks and clicks. The same can be said about your marketing channels. Multiple channel strategies will get your message to multiple audiences and to your customers in multiple points of the journey. This is a common strategy which has stood the test of time and works well to help you to develop your business. It’s about creating more offerings to your market that you can sell to previous, present and future customers. If you are a website developing company, an added product would be a marketing strategy to help you make the most out of an online presence. There is no point in having an offering that is of no use to your customers if it no longer does what is required. For example, building a website that is not mobile enabled. Or having a website that is not connected to your social media profiles. It helps to keep an eye on your competitors for points of parity and then create your points of difference. It also increases customer resource for when they are choosing what to buy and who from. Horizontal strategies work by buying out a competitor or competitors adding to growth. It also consolidates combined brands and reputation which aids in future growth and increase your share in the market. Backward works by taking out a supplier to shorten in the supply chain. This can also help with developing offerings to the market. It can be a double edged sword though as you may need to sell to your competitors to maintain the profits. Forward works by buying companies that matter to your distribution chain to your customers. The intention is to shorten the supply chain and achieve both efficiencies and savings. Directional strategies can be expensive but very successful. Following this strategy is primarily about purchasing other companies either to expand your offering or to control more of your chain. By using diversification as a strategy to develop your business is to develop your offerings across unrelated markets by buying businesses that are doing well in a market that you have an understanding of or develop a new business in a given market that you believe there is potential to make money and develop your business. Virgin are a great example of diversification to develop your brand. The decision to develop your business can be a response to many forces within the market. Success is key and you would not be in business if you are risk adverse. It’s the ability to minimise the risk and maximise the profits that is important. Also remember that it is by listening to your customers that will indicate your next step to develop your business. 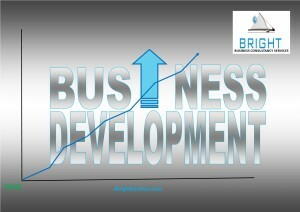 This entry was tagged Bright Business, Business Development, Develop your Business, Develop your Business Strategies, eCommerce, Strategy. Bookmark the permalink.